Come listen and expand your knowledge of Mt. Helix’s Mid-Century Modern heritage in an unprecedented program featuring the pioneers of this part of La Mesa’s history. La Mesa Historical Society President and Historian, Jim Newland, will master the ceremonies and present on the area’s architectural heritage. Todd Pitman will provide a talk on San Diego Modernist pioneer, Lloyd Ruocco, and his local legacy. 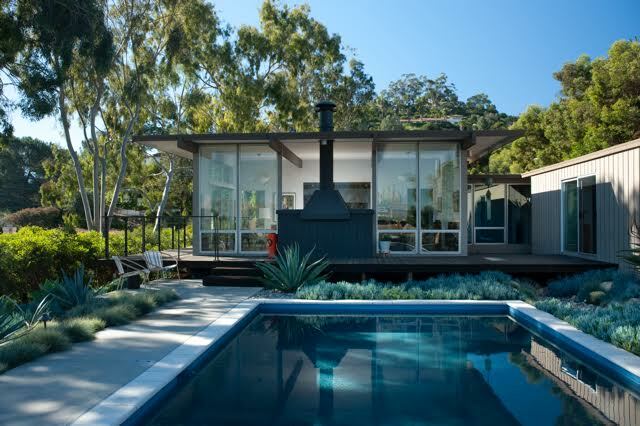 Architect, John Mock, will be presenting on the incredible homes he designed on this year’s Historic Home Tour and his other notable La Mesa projects. The presentation will be followed by a Q&A session hosted by Modern San Diego’s website host and historian, Keith York and will feature Mid-Century master architects John Mock and Hal Sadler. Don’t miss this historic opportunity to learn and experience our modern heritage. $5 suggested donation collected at the door. Members are free.